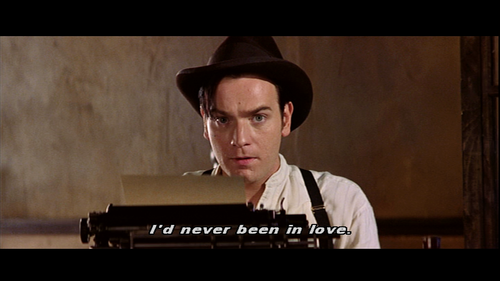 In both thematic and directorial choices the opening scene of Moulin Rouge demonstrates important elements of postmodernism. The scene begins with Christian’s description of being “swept up” in the Bohemian Revolution in Paris in 1899. Christian contrasts his experience of the city with his father’s stern warning that Paris was a “village of sin.” The zoomed-in, distorted image of his father dressed in traditional clothing makes him seem the representative of irrelevant, outdated wisdom the embodiment of the rigid morality and conventional thought of realism. Christian, on the other hand, views Paris not as a den of inequity but as a Bohemian artist’s haven, where he “had come to write about truth, beauty, freedom, and that which [he] believe[s] in above all thing…love.” While his father dismisses Christian’s “ridiculous obsession with love,” Christian seeks to unpack the nature of love as the key to understanding the nature of “truth and knowledge” (Malpas 24). The tension in the first scene between Christian’s excited anticipation of his future and the foreshadowing of the tragedy that lies ahead reflects the modernist conception that pain is necessarily associated with change and progress. As Malpas points out: “to be modern is to find ourselves in an environment that promises us adventure, power, joy, growth, transformation for ourselves and the world – and, at the same time, that threatens to destroy everything we have, every we know every we are…” (Malpas 46). While we see the contrast between realist and modern world views in the first few lines, the remainder of the scene is permeated by post-modern effects which defy our expectation of a traditional storyline, resisting “common sense” and “rationality” (Malpas 4). According to Malpas, “postmodernism…often seeks to grasp what escapes…processes of definition and celebrates what resists or disrupts them” (Malpas 4). Thus, Christian’s modernist musings about truth and beauty are literally disrupted by post-modern influence: “right at that moment an unconscious Argentinean fell through [his] roof…joined by a dwarf dressed as a nun.” These two characters resist stereotype and quick categorization – Toulouse dressed in the female attire of a nun makes for ambiguous gender identification and the Argentinean’s narcolepsy is a strange, surprising trait that does not do much to explain why he fell through the roof. These two characters shock Christian, surely challenging his expectations for the archetypical characters he dreamed of writing about in his novels. In addition, the directorial choice of adding contemporary sound effects to emphasize awkward pauses or dramatic moments – there is a screeching sound reminiscent of a car hitting the brakes when Christian declares he has never been in love – confounds the audience’s expectations of time and place, a car brake sounding strangely discordant in the idyllic setting of Paris in the 1800s. 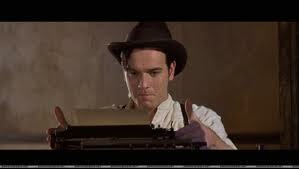 Christian is asked to become the writer of the Bohemian’s play when he solves their need to describe “the hills…” by bursting into song with “the hills are alive with the sound of music.” This reference to a song performed by Julie Andrews in the 1965 film The Sound of Music again does the post-modern work of disrupting the audience’s comfortable placement within the setting of Paris in 1899. Finally, Christian’s hesitant acquiescence to the Bohemian’s urgings, despite his father’s disapproving voice booming in his head, demonstrates his struggle to “free [himself] at last of old systems and rules of taste and judgment” (Malpas 35). Christian will not be writing great literature, the “high art” he planned to produce while in Paris, but a story for the Moulin Rouge, the “kingdom of nighttime pleasures.” Christian’s willingness to write the play demonstrates the blurring of the “distinction between high art and popular culture” that is the essence of the post-modern, in which works of art still aspire to great quality while remaining accessible and relevant to the masses (Malpas 35). Leavenworth, a small town in Washington, was once the headquarters of the Great Northern Railroad in the early 1900s. But after the railroad relocated to Wenatchee, Leavenworth’s economy struggled severely. 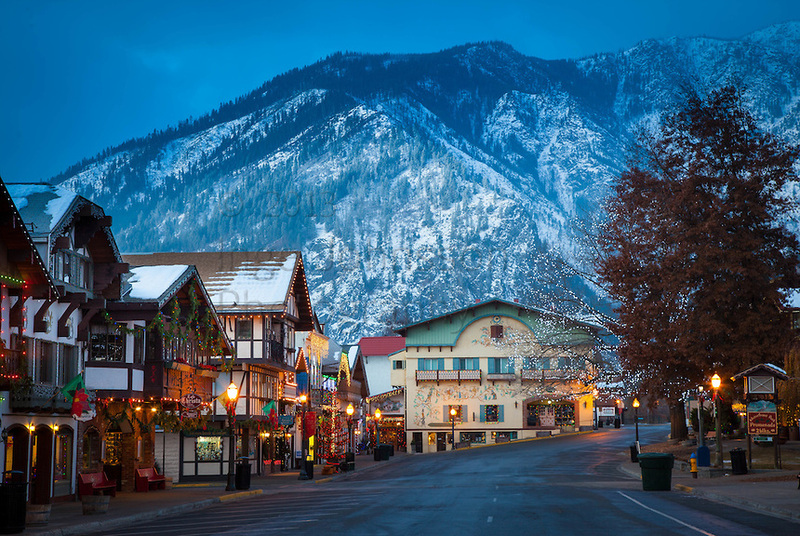 The revitalization of Leavenworth’s economy came in 1962, when city planners decided to turn the town into a “Bavarian Village” to help bring tourism into the area. 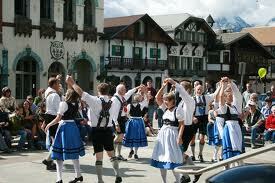 As their website says: “the entire community rallied to create the illusion of Bavaria in the middle of Washington state.” Though it is a copy of a Bavarian village created purely for economic benefit, most who visit Leavenworth mistake it for an actual German village – founded by settlers of German ancestry who modeled it after their home country. In this way, Leavenworth is an example of the simulacrum: the complete artificiality of the copy is perceived as original.